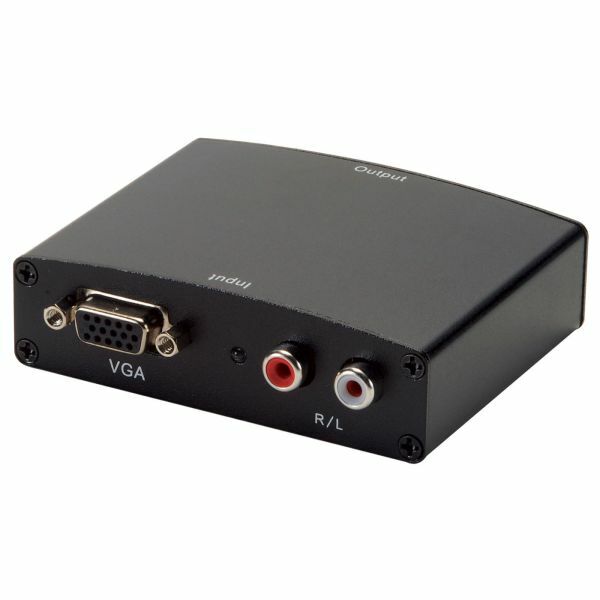 【VGA + R/L Audio to HDMI】It Converts VGA Video and Audio to HDMI Signal. Allow PC Users to Show Their Image Not Only on the PC Monitor, But Could also on TV, to Display on a Large Screem. 【Support 1080P HD】Signal Transfer Rates Up to 1.65GBps, Supports Up to 1080p HD Resolution, Much clearer and Enjoyable. 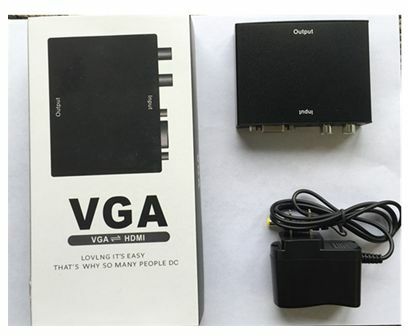 【Wide Application】Most Output Devices with VGA Ports Such as Desktop/Laptop/HD TV Box and Most Input Devices with HDMI Port Such as Monitor/HDTV/Projector, Perfect for Meeting, Home Theater, Monitor, KTV and So on. 【Portable Design】Small Volume, Huge Use, Save Your Space, It is Convenient for You to Carry The Package Anywhere Needed. 【Plug and Play 】Install in Seconds, Plug in Power and It Works, NO Need of Setting, Easy for Use.